I’m back! It’s been just over three weeks since I last blogged a recipe and I’m bringing you . . . watermelon. Not a cake or cookie or seductive fingerful of chocolate in sight, just sweet, crisp, seasonal (in as far as anything imported can be, but until the end of August is when it’s at its best) watermelon served up three ways. 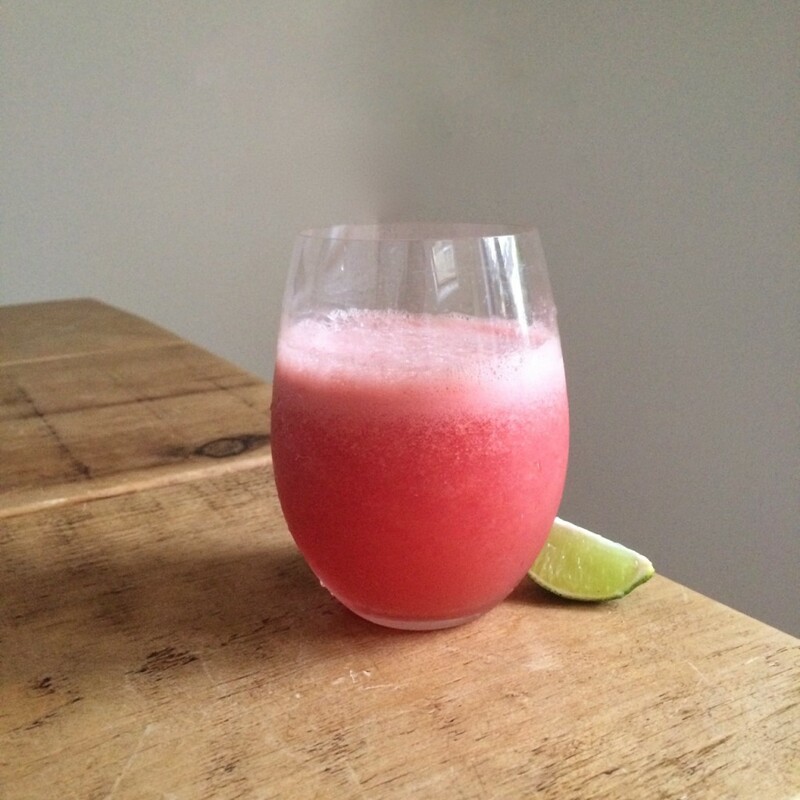 Freshly blitzed watermelon with ginger or lime has been my go-to pre-breakfast of late, the drink I turn to when I’ve just woken up, while I do my morning workout and before it’s a sensible hour to think about eggs or oats or toast. Some of you might baulk at the thought of turning on a blender at 6am, but these recipes work at any time of day, can rest overnight in the fridge and there’s even an option you can bring out for an (albeit super healthy) dessert. If you were to take a tour of our kitchen you’d probably first remark at the light blue fittings, the bright white work surface (beautiful, but the bane of our lives to keep clean) and our beautiful new ceramic sink <3 But quickly your eyes would come to rest on what can only be compared to an appliance showroom of Kitchen Aid, Magimix, Vitamix, ice cream and coffee machines and coffee grinder lined up in a row. Suffice to say that, while we’d love to add a juicer to our collection, there just isn’t room. So, these juices are made with a blender, sieved if you can be bothered or drunk straight up if you can’t. I’m offering up two of my favourite flavour combinations, so simple you can barely call them recipes but I wanted to document them here for next time a summer watermelon obsession hits. The third is even less of a recipe, but a bit of fun and perfect if you’re planning a late summer holiday and the bikini outing that comes with it. 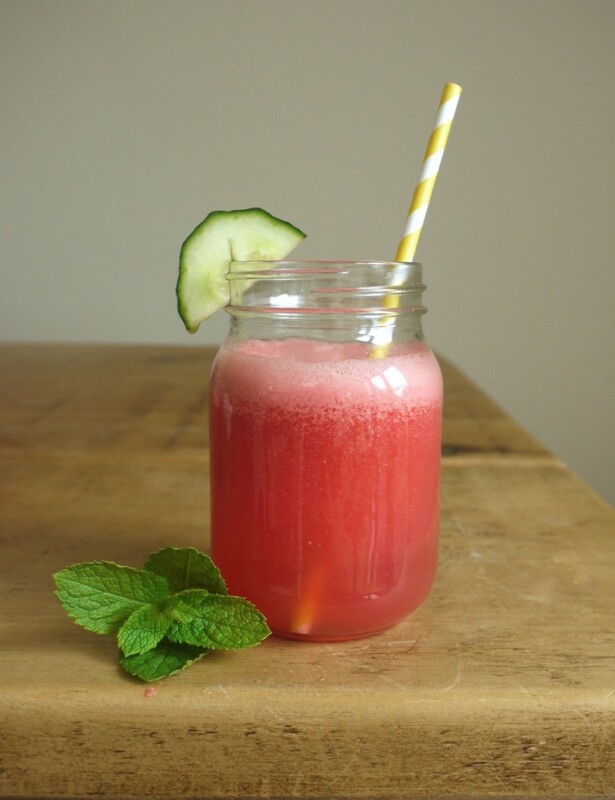 Watermelon is my current obsession; here are three ways to enjoy this delicious fruit. 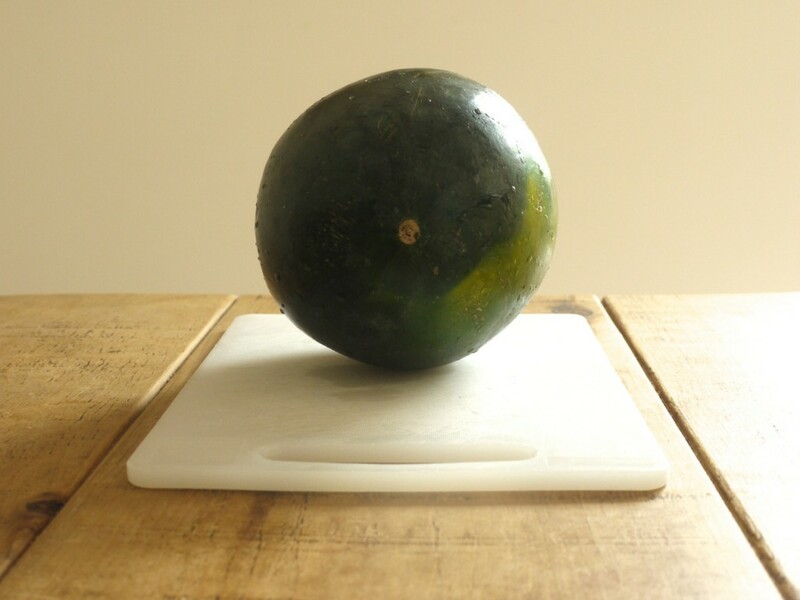 Make sure to buy melons that are heavy and fragrant - if your watermelon isn't perfectly ripe you may need to think about adding some extra sweetness in the form of honey or agave. Remove the rind from the watermelon and cut into rough chunks. Blitz in a blender along with the lime juice, until smooth. Divide between glasses or strain through a fine mesh sieve for more of a clear juice. Remove the rind from the watermelon and cucumber and cut into rough chunks. Blitz in a blender along with the mint leaves until smooth. Divide between glasses or strain, as above. 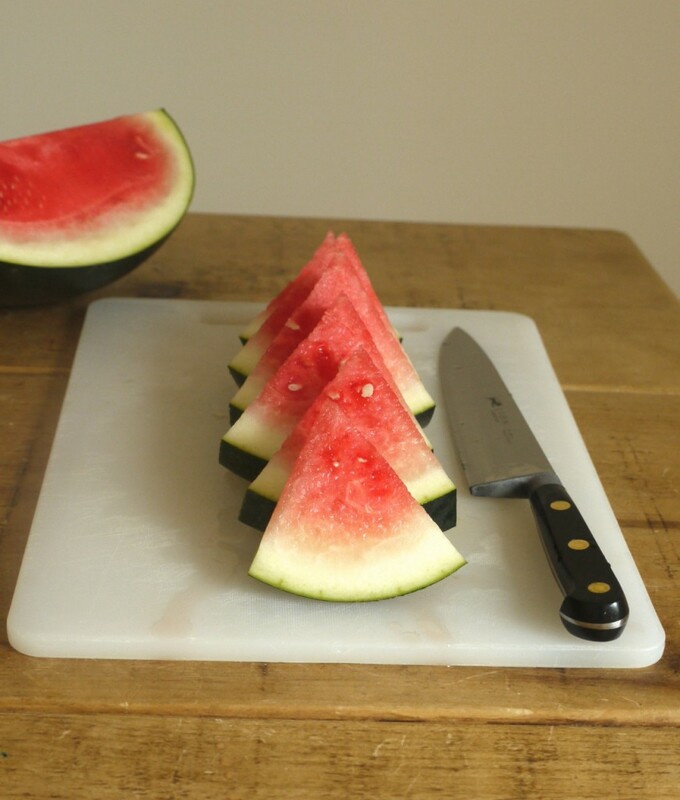 Cut your half watermelon lengthways into three equal slices. Cut each slice into about 6 triangles. 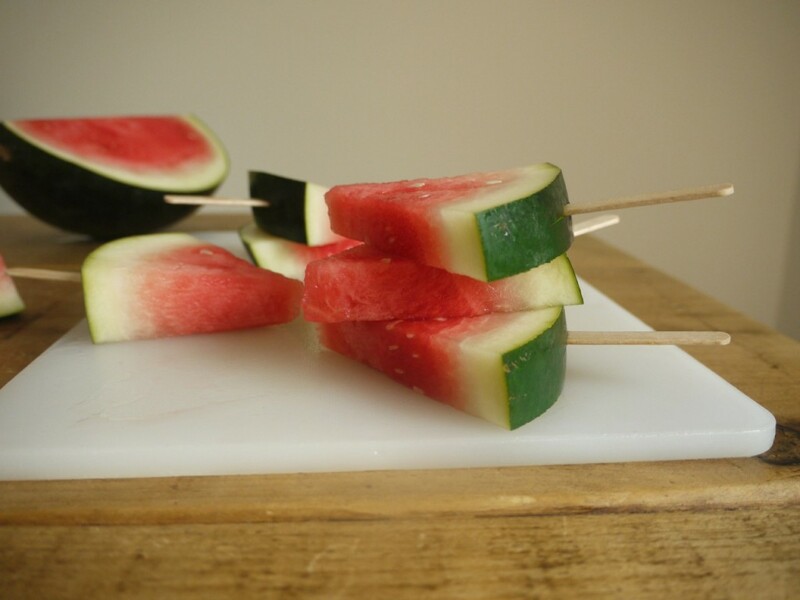 Use a sharp knife to make a small insertion into the rind of each triangle and insert a wooden lolly stick. Freeze for 3 - 5 hours, until frozen. So simple, they can hardly be called recipes. 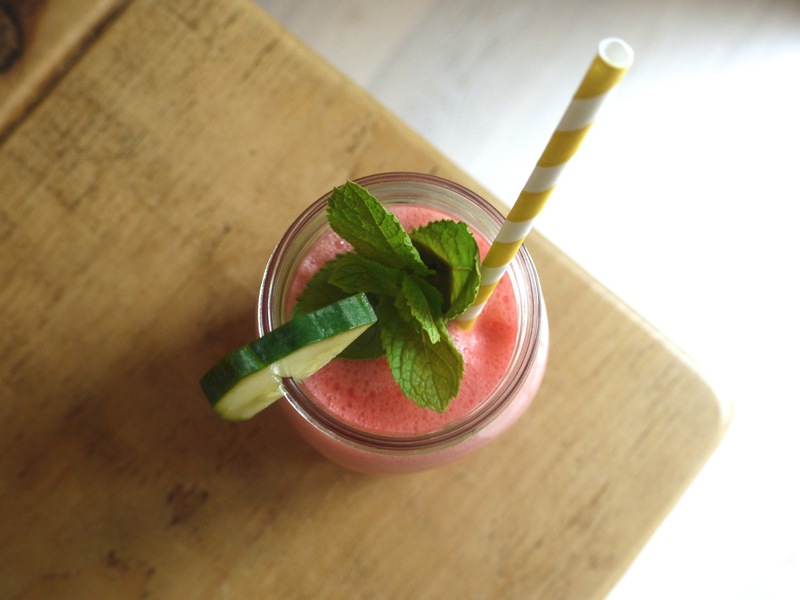 But delicious, refreshing and well worth making nonetheless!